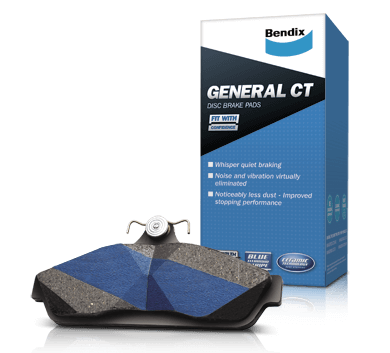 Bendix General CT brake pads are general purpose brake pads suitable for passenger vehicles in suburban, city and freeway driving. They feature the exclusive time saving Titanium Stripe and Ceramic Technology for superior noise, vibration and harshness control. Is Bendix General CT the Right choice for your car?